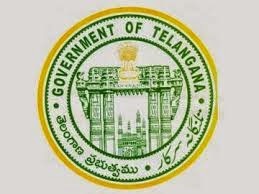 Government of Telangana and the state Residential Educational Institution Society is invite applications through online from all eligible candidates for Telangana residential college common entrance test to getting admissions in first year.Notification for Entrance Test for seeking Admission in to 1st Year Degree Semester wise Course for the Academic Year 2017-2018. Online applications are invited eligible candidates from only women (unmarried) for TSWDCET-2017 for admission into 1st year B.A,B.Com and B.Sc degree under graduate English Medium Courses every course has 40 seats in TSW Residential Degree Colleges for Women for the Academic Year 2017-2018.Exam will be conducted entrance test in both English and Telugu media. b) They should have passed the qualifying examination in one and first attempt in IPE-March 2015 and should have secured 50% of marks (there is a relaxation of 5% in minimum percentage of marks the case of SC/ST/BCs) on aggregate and 40% of aggregate marks in English subject. The examination will be in one session of 2 ½ hours duration in the subjects mentioned at table II(a) and IV. Common Entrance Test shall be conducted on 07.05.2015 from 10.00 am to 12.30 pm. Examination will be conducted on Intermediate syllabus (Board of Intermediate Education, AP, Hyderabad) for group subjects.